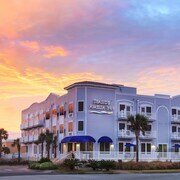 Situated near the beach, this hotel is 0.8 mi (1.3 km) from Island Falls Golf and within 3 mi (5 km) of Fernandina Beach Main Beach Park and Fernandina Beach Golf Club. Fort Clinch State Park and Peters Point Beach Front Park are also within 3 mi (5 km). 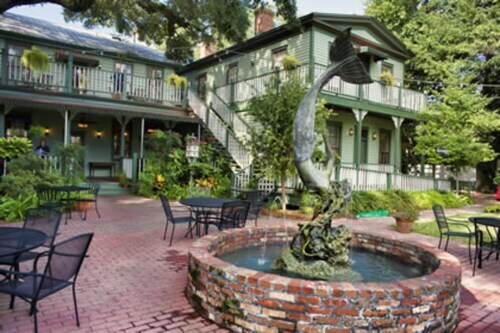 Offering direct access to the beach, this Fernandina Beach resort is within 3 mi (5 km) of American Beach, Timucuan Ecological & Historical Preserve, and Plantation Artists' Guild & Gallery. 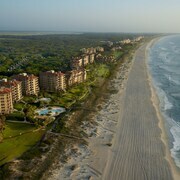 Peters Point Beach Front Park and Fernandina Beach Golf Club are also within 6 mi (10 km). 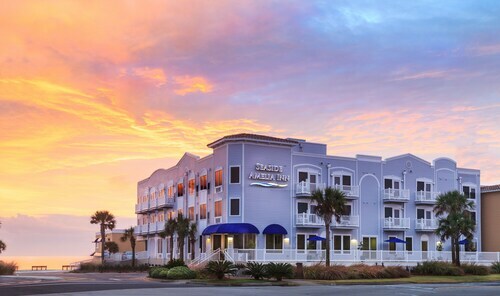 Situated near the beach, this hotel is 0.7 mi (1.2 km) from Island Falls Golf and within 3 mi (5 km) of Fernandina Beach Main Beach Park and Fernandina Beach Golf Club. Fort Clinch State Park and Peters Point Beach Front Park are also within 3 mi (5 km). 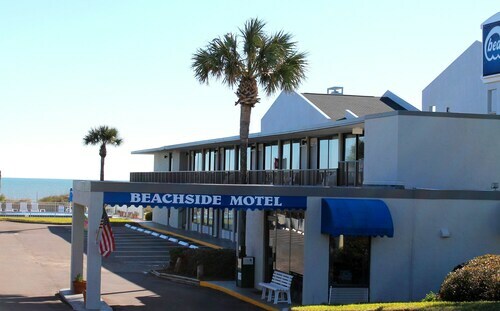 Located in Fernandina Beach, this beachfront motel is next to a golf course and within 2 mi (3 km) of Fernandina Beach Golf Club, Peters Point Beach Front Park, and Island Falls Golf. 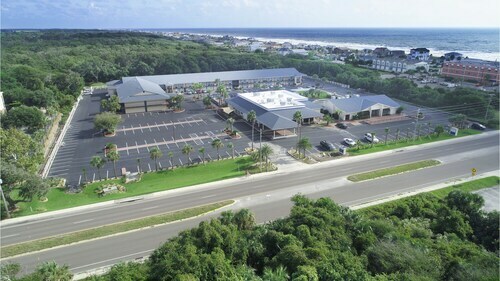 American Beach and Palmetto Walk Shopping Village are also within 3 mi (5 km). 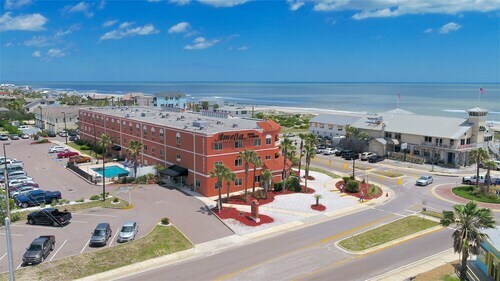 Situated by the ocean, this hotel is close to Fernandina Beach Main Beach Park, Fernandina Beach Historic District, and Fort Clinch State Park. 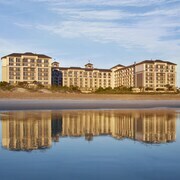 How Much is a Hotel Room in Amelia Island? 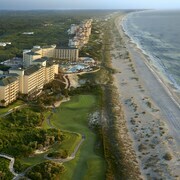 Hotels in Amelia Island start at $109 per night. Prices and availability subject to change. Additional terms may apply. “Every man’s life ends the same way. It is only the details of how he lived and how he died that distinguish one man from another.” The words of Ernest Hemingway have inspired bold adventurers, like yourself, for generations. A man of distinction, he found much of his inspiration from somewhere within the United States—Florida. Sure, Hemingway longed for sunny days spent splashing around on Key West, but that’s only because he never visited Amelia Island. Amend this gross injustice by booking your stay at Amelia Island hotels and writing journal entries about the affair, which could become the basis of the next great American novel. Seabirds cry out overhead as you settle your chair into the smooth sand and open an umbrella to shade you from the midday sun. There are 13 miles of beach to choose from on Amelia Island, but Fernandina Beach will become your favorite stretch of sand. As you sit down, lift your sunglasses to rest on your head, and open a novel with well-loved pages, a local strolls by and asks, “You’re here again? Must really love the place!” You sigh with sweet relief and laugh in response. How could you not love it here? It’s not just the deep blue water or swaying palms that captivate you, but the slow pace of drinking whiskey on porch swings or swinging your nine-iron. 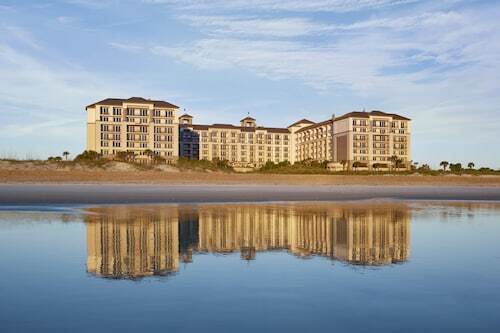 Yes, this little sandbar off the Florida coastline is the perfect place to relax, and there’s no better way to do so than by taking advantage of one of our glorious Amelia Island hotel deals. Wake up and walk out onto the cool sand as you head toward the water to complete your morning swim. After toweling off and thinking about how spectacular the Floridian sunrise is, return to hotels in Amelia Island to collect your things. 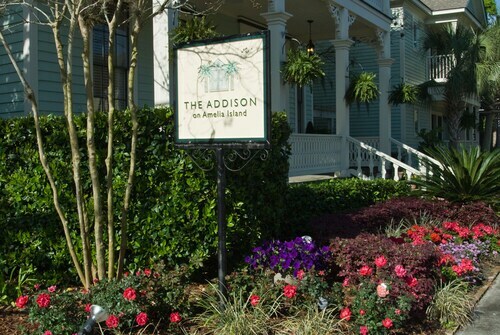 You feel like you’re not ready to leave, which is the thought that crosses everyone’s mind as they try to depart Amelia Island. Hold onto the Sunshine State as long as you can by reserving Amelia Island rental cars and navigating your way to Jacksonville hotels. You’ll still be able to revel in the sand and surf, even though your island days are over—for now. 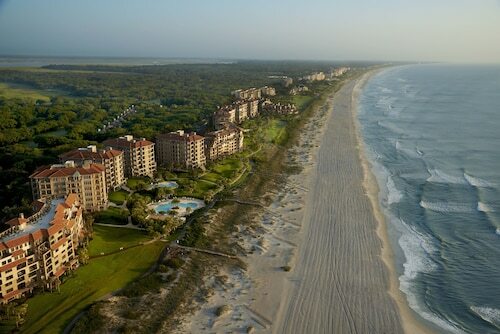 Need insider tips on must-see attractions in Amelia Island? 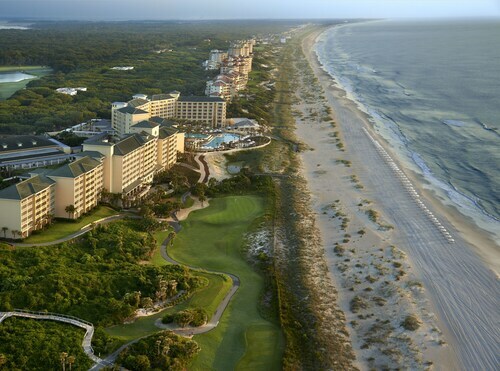 Check out our Amelia Island travel guide! Room was small but staff, breakfast and hotel location was great. The location of the property is great - right on the beach with a beautiful terrace as well as it's proximity to downtown area and Fort Clinch State Park. 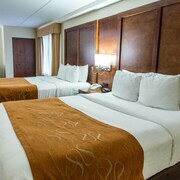 The staff was extremely nice and eager to provide the best service and make our stay pleasant. Breakfast included with the room was a nice feature, it varied day to day and one could enjoy their food outside looking out to the ocean - very serene and beautiful. A couple of things could be improved to make this lodge even more special though...The rooms should be upgraded, especially the beds. The mattresses were extremely uncomfortable, felt like air mattresses, and the rooms could use more modern and compact furniture to make it more spacious and comfortable. Clearly, the owners were undertaking some renovations during our stay - updating wall paper, etc. I hope they get around to upgrading the rooms in the future to make it as relaxing inside as the outside. Overall, we were happy with the property and would recommend it to friends for a few days getaway on the beach. 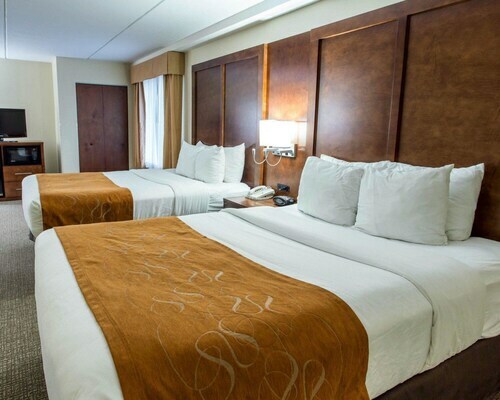 The rooms was very clean and the staff was very professional. This is an exceptional place in a beautiful setting run by a professional and gracious couple. 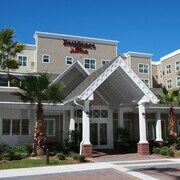 My wife and I throughly enjoyed our stay and look forward to our next trip to Fernandina Beach and Ron and Lisa's Inn. 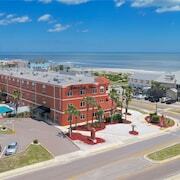 This is a beautiful hotel in a great location in downtown Fernandina Beach.